The Einhell BT-HT90 folding truck is ideal for gardening, home or workplace with a 90kg capacity carrying weight. 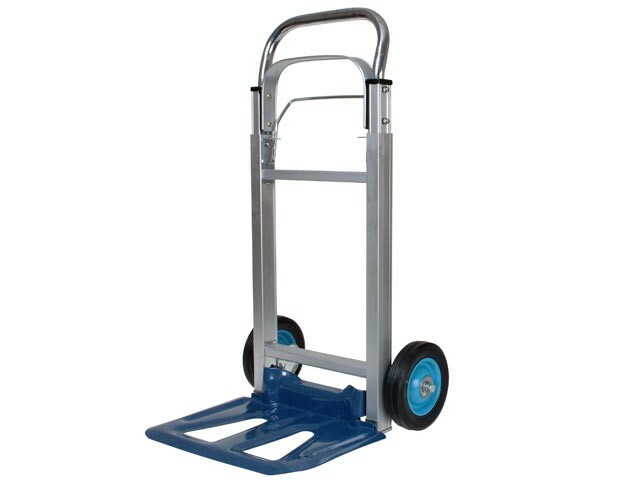 It is sturdy in construction, has rubber wheels with metal bushings and an extendable handle for easy load moving. A strong, lightweight aluminium frame with a fold-away supporting blade makes this trolley ideal for storage in a small area or to hang in shed or garage.